Get two classes at each of these amazing studios while also saving lives ! Delighted to be behind this great community collaboration. For a fully tax deductible $100 donation you get 2 sessions at each participating venue. Studio Pilates Richmond. Yoga 213. United Ride. Yarra Leisure. And Fitness XO. For $50 you get one session at each. Move this Movember, you will feel great. Please contribute and share this around ! 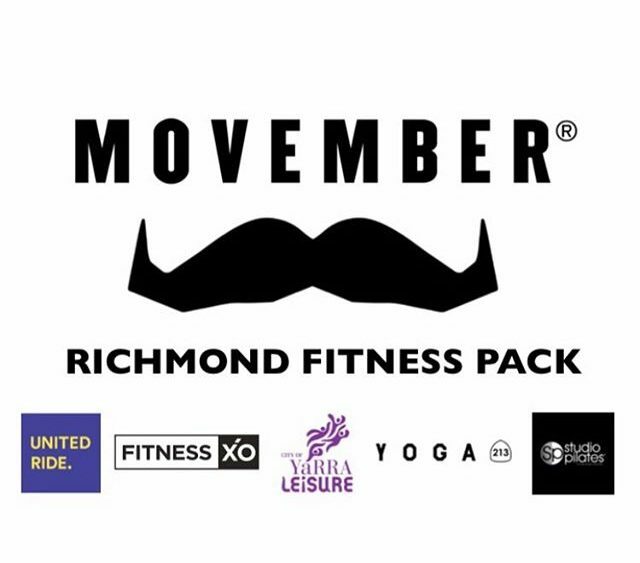 Go to the link https://au.movember.com/en/events/view/id/4NDY or search Movember Events Richmond Fitness.